Join the Office of Diversity, Equity, and Inclusion in recognition of LGBTQ+ Health Awareness Week! At this event, attendees can learn more about how pre-exposure prophylaxis (PrEP) and post-exposure prophylaxis (PEP) can address the public health issue of new HIV infections in the LGBTQ+ community. Based upon data from organizations like the Center for Disease Control (CDC), this presentation will allow attendees to learn how impactful these prevention tools are. 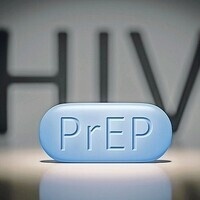 Attendees will also learn practical information about PrEP, PEP and sexual health. This presentation will be led by Timothy Bussey, assistant director for the Office of Diversity, Equity, and Inclusion.